Brain Lesion at the 2012 Circuit Benders’ Ball. Photo by Brandon Greer. The Circuit Benders’ Ball takes place in Nashville, TN over the weekend of August 25 through 27, and we’re still looking for participants! If you’d like to perform, provide visual projections or electronic art, speak, teach, or volunteer, you need to apply by June 1 at 11:59pm. The Circuit Benders’ Ball (or CBB) is a biennial celebration of hardware hacking, art, music, and the creative spirit, hosted in Nashville, TN since 2010. Find out more here. 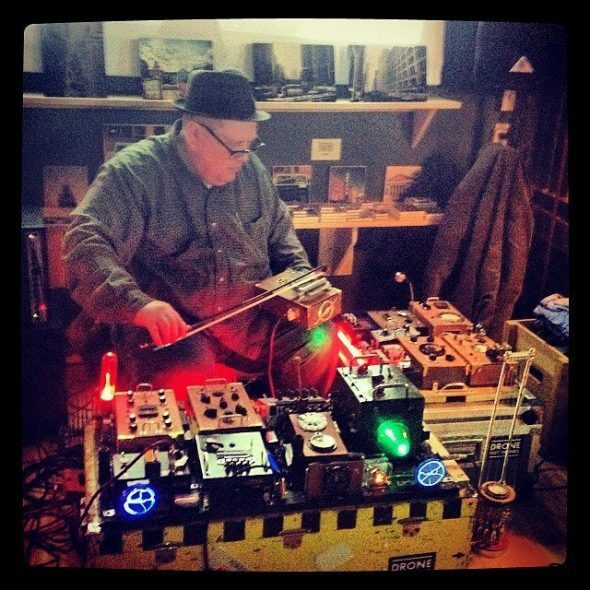 Tim Kaiser, maker supreme, ambient maestro, and two-time Circuit Benders’ Ball performer, is returning to Nashville on Friday, April 14th to perform a special set at Make Nashville. On Saturday afternoon, he will lead a piezoelectric pick-up workshop. Opening the Friday evening show is Nashville keyboardist and circuit bender No Stress (Paul Horton). Paul plays in the jazz duo Concurrence and is a touring member of the Alabama Shakes. 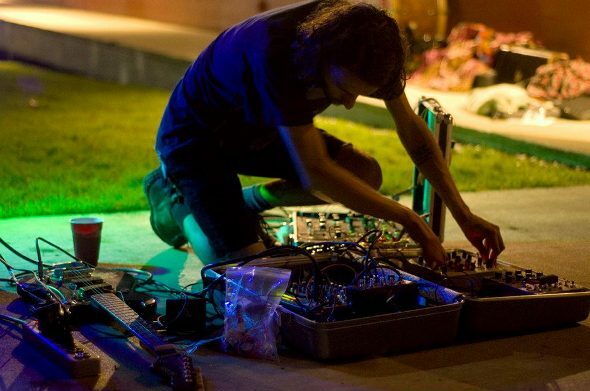 As the solo act No Stress, Paul uses circuit-bent toys, keyboards, and looping pedals to make music unlike anything you’ve heard. Saturday afternoon from 12pm to 3pm, Tim Kaiser will lead a workshop on making piezoelectric pick-ups, the very same kind he puts in his kalimbas and bowed instruments. Tickets are on sale now for both events. Details below. All ages, $10 in advance, $15 at door. 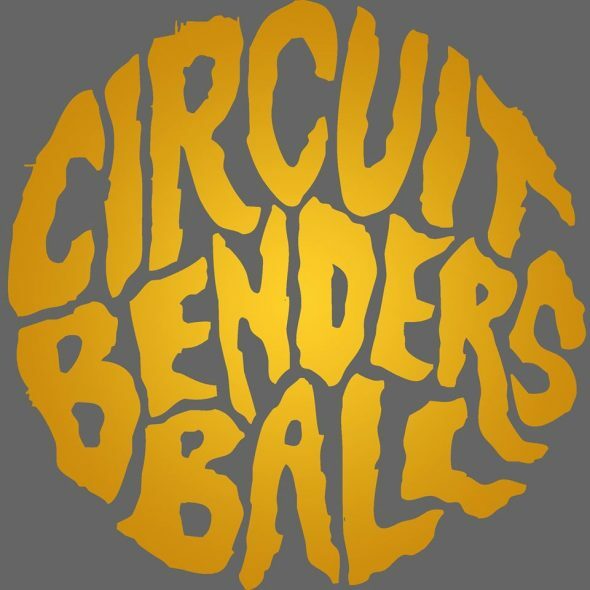 I’m happy to announce that the Circuit Benders Ball will be coming back to Nashville, August 25th to 27th, 2017! CBB is a biennial festival of hardware hacking, art, music, and the creative spirit. I ran the first three. This year, Tyler Blankenship will be taking over as Festival Director, and I’m excited for his vision of the fest! Submissions are now open for performers, visual artists, multimedia artists, presenters, workshop instructors, and volunteers. To apply, head on over to the brand spankin’ new website, built by CBB participant Morgan Higby-Flowers. The Ball will take place at the East Nashville art collective The Complex. We’re still working out the details will provide an address and showtimes soon.